Illustrations: 5 charts, 16 tables. 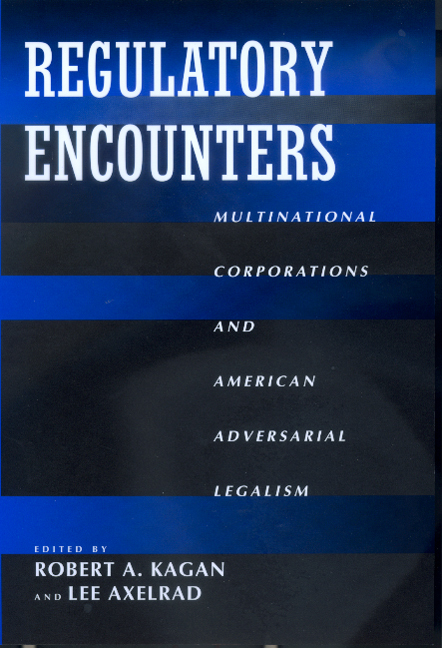 Regulatory Encounters reports on a path-breaking study of how government regulation of business in the United States differs in practice from regulation in other economically advanced democracies. 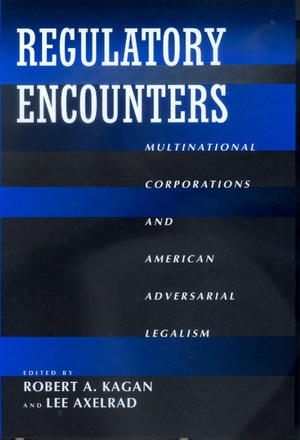 In each of ten in-depth case studies, the contributors to this volume compare a particular multinational corporation's experience with parallel regulatory regimes in the United States and in Japan, Canada, Great Britain, Germany, The Netherlands, and the European Union, noting precisely which regulatory precautions were actually implemented in each country. The regulatory systems analyzed include aspects of environmental protection, product safety, debt collection, employees' rights, and patent protection. The studies in Regulatory Encounters indicate that the adversarial and legalistic character of American regulation imposes higher costs and delays on economic activity than comparable regulatory regimes in other economically advanced democracies, and often does not generate higher levels of protection for the public. Robert A. Kagan is Professor of Political Science and Director at the Center for the Study of Law and Society, University of California, Berkeley. He is the author of Going by the Book: The Problem of Regulatory Unreasonableness (1982) and Regulatory Justice: Implementing a Wage-Price Freeze (1978). Lee Axelrad is an attorney in private practice in Sacramento, California.